Of course we love food! Who doesn't? A La Carte' is your premier show for new dinners, desserts, and foodie ideas to tantalize your weekly tastebuds. Watch as we bring ordinary foods to life with great recipes, how-to's, and cooking examples. Our segments will include southern dishes, international selections, and healthy choices for those that are calorie-conscious. Subscribe to our show below and follow us on twitter at @TheSphereTV with the hashtag #aLaCarte. In episode 48, we welcome back Treya Williams (@Nubian_Chef) on A La Carte! We breakdown Employees at Raising Cane’s fired after viral video shows woman stirring tea with forearm. We also dive into how to properly peel shrimp. Plus, we get you ready for our meal of the week: Shrimp and Grits. All this and more on #ALaCarte! 047: Romaine Lettuce E. Coli Outbreak, Culinary Conversations with Chef Treya and The Weekly Meal: Pecan Pie. In episode 47, we welcome from Treya Williams (@Nubian_Chef) on A La Carte! We dive into how she started her company iCook Chefs Spice (http://www.icookchefsspice.com). We also breakdown the E. Coli outbreak in the US that originated in contaminated Romaine lettuce. Plus, we get you ready for our meal of the week: Pecan Pie. All this and more on #ALaCarte! In episode 46, we bring you another delicious show on A La Carte! We dive into Kroger recalling ground beef due to possibly being contaminated with pieces of plastic. We also breakdown how to handle meat safely. Plus, we get you ready for out meal of the week: Mom’s Meatloaf. All this and more on #ALaCarte! In episode 45, we bring you another healthy show on A La Carte! We dive into McDonald’s stock drops after news of Hepatitis A worker. We also breakdown tips on how to keep your food fresh longer. Plus, we get you ready for our meal of the week: Quinoa Bowls. All this and more on #ALaCarte! In episode 44, we bring you another informative show on A La Carte! We first dive into Wendy’s releasing a hip hop mixtape, “We Beefin?”. We also discuss food temperature safety and why it is so important.Plus, we get you ready for our meal of the week: Sausage Skillet. All of this and more on #ALaCarte! In episode 43, we give you the latest in produce on A La Carte! We discuss renaming of the vegetable processing Plant after deadly Listeria outbreak. We also dive into how to handle and choose your produce safely and wisely. Plus, we get you ready for our meal of the week: Shrimp Scampi Spinach Salad. All of this and more on #ALaCarte! In episode 42, we go live in the kitchen on A La Carte! We guide you step by step on how to make delicious quick and easy jamaican jerk chicken w/ tropical couscous.Plus, We give you cooking tips to maximize all flavors. All of this and more on #ALaCarte! In episode 41, we give you your weekly food-based news here on A La Carte! We discuss the use Robots in the food service Industry. We also dive into the best ingredient alternatives options Plus, we get you ready for our meal of the week: Fettuccine Alfredo. All of this and more on #ALaCarte! In episode 40, we give you your weekly food-based news here on A La Carte! We discuss the current Snap benefits vs Trump’s proposal to introduce food boxes instead. We also give you the 101 on eliminating food waste. Plus, we get you ready for our meal of the week: Sweet & Spicy Bacon Wrapped Chicken All of this and more on #ALaCarte! In episode 39, we give you all of the food-based news you can use right here on A La Carte! We discuss Panera’s Listeria contamination and the steps they are taking to rectify the situation. We also give you some insight on produce safety and the vast array of mushrooms in the world. Plus, we get you ready for our meal of the week: Stuffed Mushrooms. All of this and more on #ALaCarte! In episode 38, we give you something a little different on A La Carte! We start with a deep dive into the creation of Helping Hands Food Delivery and what they offer today. We also discuss the foundation of Good Meal Deals Catering and Chef services. Plus, we get you ready for our meal of the week: A La Carte Spaghetti. All of this and more on #ALaCarte! In episode 37, we discuss the weekly dosage of all things surrounding food here on A La Carte! We start with the Starbucks holiday delights that have swept across the nation. We also discuss festive hacks that can take your food spread to the next level! Plus, we get you ready for our meal of the week: Corn Casserole. All of this and more on #ALaCarte! In episode 36, we welcome guest hosts Scott Bellard & Jessica Bellard with Straight of The Pit BBQ and More (@Straightoffthepit)! We dive into the world of creating perfect BBQ and some of the mastery they have learned over time. We also give you great safety tips when it comes to safety. Plus, we get you ready for our meal of the week: Slow Cooker Ribs. All of this and more on #ALaCarte! In episode 35, we give you some holiday cheer with 21 holiday sweets here on A La Carte. We also discuss the 6th annual fall fest and Houston Heights Neighborhood Nights that are filled with free food to die for. Plus, we get you ready for our meal of the week: Santa’s Trash Cookies. All of this and more on #ALaCarte! In episode 34, we give you insight on food and safety here on A La Carte! We discuss future thanksgiving hacks that can cut down time and save you money. We also look into the papaya Salmonella outbreaks that are popping up around the country. Plus, we get you ready for our meal of the week: Perfect Roasted Turkey. All of this and more on #ALaCarte! In episode 33, we welcome back guest host Tiana Jones (Facebook: Tiana Jones) to share her foodie knowledge here with us on A La Carte. We discuss the all new pasta passport from Olive Garden and it’s many perks. We also give you healthy tips on how to cook the perfect pasta. Plus, we get you ready for our meal of the week: Beef Bolognese with Pappardelle Pasta. All of this and more on #ALaCarte! In episode 32, we welcome back guest host Garry Lee (@GHawkinz) to discuss the food happenings of the week! We dive into the latest outbreak at a local Chipotle restaurant, which has continued to plague the restaurant chain. We also give helpful insight on different types of cutting boards and proper usage. Plus, we get you ready for our meal of the week: French Dip with Peppers and Onions. All of this and more on #ALaCarte! In episode 31, we interview Chef Tim Saddler (www.facebook.com/cheftimsaddler) and get an idea of the culinary creations he is cooking up. We also discuss the growing trend of homemade baby food and the health benefits. Plus, we get you ready for our meal of the week: BBQ Beef Filled Biscuits. All of this and more on #ALaCarte! In episode 30, we welcome back Garry Lee (@GHawkinz) to discuss food based news, tips, and meals. We breakdown the creation, purpose and design of Houston Restaurant Weeks and what to expect from this month-long event. 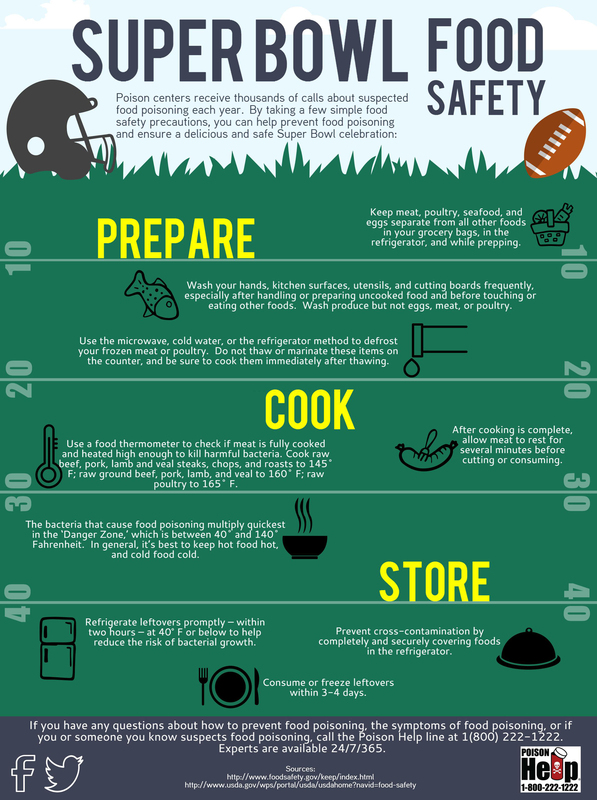 We also cover tips on prepping your sports-time foods as we usher back in the football season. Plus, we get you ready for our meal of the week: Ultimate 7-Layer Dip. All of this and more on #ALaCarte! In episode 29,we welcome guest host Tiana Jones (Facebook: Tiana Jones) to share her foodie knowledge here with us on A La Carte. We discuss tips on how to arrange and keep your refrigerator clean and contaminant-free. We also give you basic tips on how to handle fruits and vegetables. Plus, we get you ready for our meal of the week: Seared Tilapia with Basil Veggies. All of this and more on #ALaCarte!